Designed to enhance the expressive range of tone. 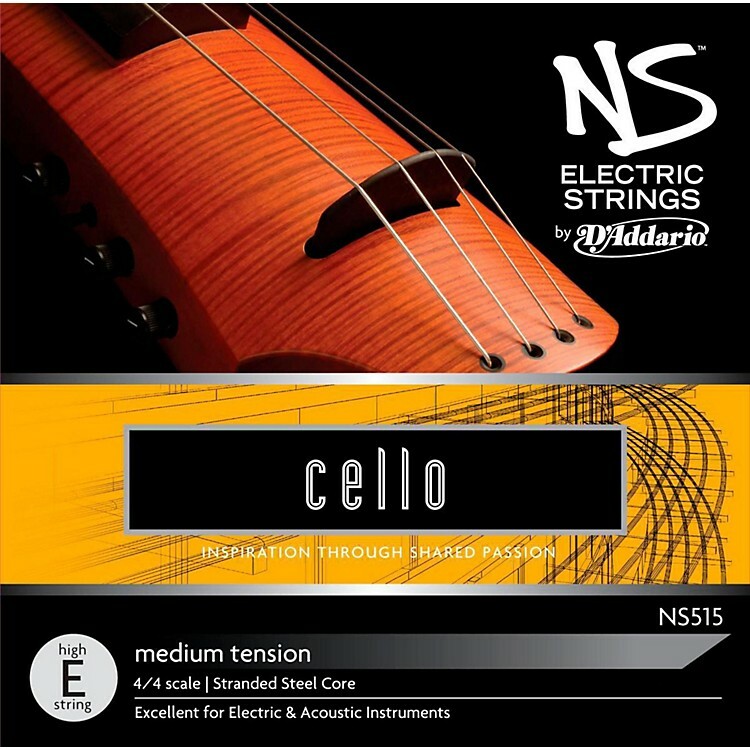 Designed in partnership with Ned Steinberger and NS Design, the D'Addario NS Electric Cello High E String can be used on electric instruments to bring out the best in them. This string is designed to enhance the expressive range of tone sought after by the most discerning players. The high E string features a stranded steel core with aluminum winding. Scaled to fit 4/4 size cello with a playing length of 27 1/2 inches (700mm), this electric cello high E string will fit a majority of standard sized electric cellos. They will also work well on acoustic instruments, providing a clear, focused tone while still allowing for tonal subtlety and expressiveness. Get the best string for the job. Order today.